Places to stay in Rye include Rye Hotels and Rye Guest houses. Saltcote Place is a very quiet country mansion located about 8 minutes walk from the town. Places to stay in Rye Sussex generally fall into three categories. Boutique Hotels in Rye is a marketing term and little more. Ask 100 people what a Boutique hotel in Rye looks like you would probably have 30 different answers and be none the wiser. Saltcote Place has been rated as No1 on TripAdvisor for more 10 years, would we describe ourselves as a Boutique Hotel in Rye ? Probably not. We offer Egyptian cotton sheets, spacious suites and high levels of service in a relaxed intimate setting. 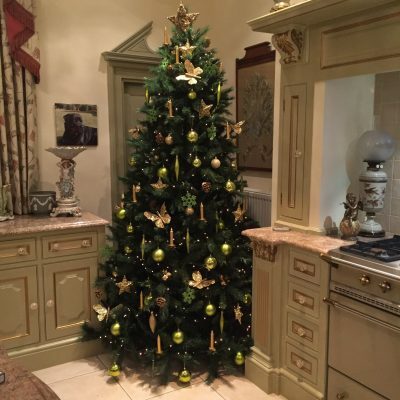 We would be happy to take 10% off the online price if you call direct on 01797 222220. Or use the Book Direct button above which does the same thing. We would describe ourselves as simply a large comfortable private country mansion set in secure grounds and with free secure parking. Saltcote Place is a 5 star gold rated venue, many repeat customers come here year after year for the personalised service and relaxed atmosphere. 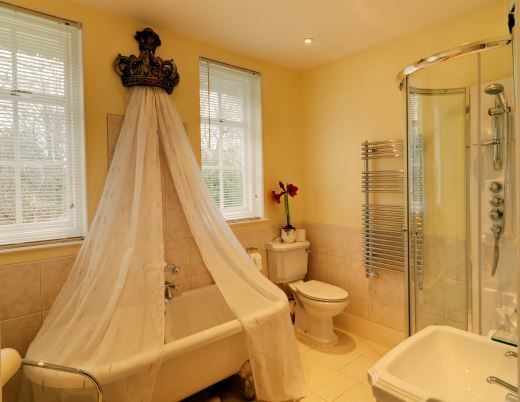 After Rye Bed and Breakfasts there are other properties referred to as Rye Guest Accommodation and of course Rye Hotels. Hotels in Rye generally have very limited parking and often not on site, remember that Rye Sussex is a medieval town and the roads are narrow, property prices are therefore at a premium and a large car park in the centre of town would not be economical for many or the Rye Hotels. Of the Rye Hotels non rank higher than 4 star. Saltcote Place is the only property large enough to compete with the Hotels in Rye however we resist the temptation and remain a private residence with guest facilities in Rye. 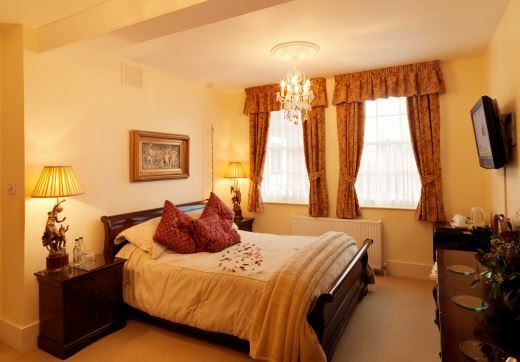 Rye hotels have enjoyed a remarkably good following, since the 1400’s great hotels such as the Mermaid Inn on Mermaid Street have seen many generations of families attend from all over the World. The Hope Anchor Hotel in Rye literally takes the name from the “Hope Anchor” which was the last sacrificial anchor sailors would throw overboard to prevent a grounding. The Hope Anchor would never and was never intended to be recovered. Today you will see two Hope Anchors on “the strand” one outside the Heritage centre the other outside the most popular places to eat in Rye “Simply Italian”. Simply Italian has been the number one place to eat in Rye for about 15 years. Great prices and exceptionally friendly service and fantastic food are just a few of the reasons why any visit to Rye should include a meal at Simply Italian. Some places to stay in Rye will accept every type of guest whilst Saltcote Place will not accept children unless it is part of a large exclusive event. This applies equally to Weddings, when we have Weddings children are of course welcome and all guests will personally know the children. Some of the hotels in Rye will have Weddings whilst there are also regular guests in the hotel. Having a policy of exclusive use and “adults only” ensures all guests are happy with their stay. 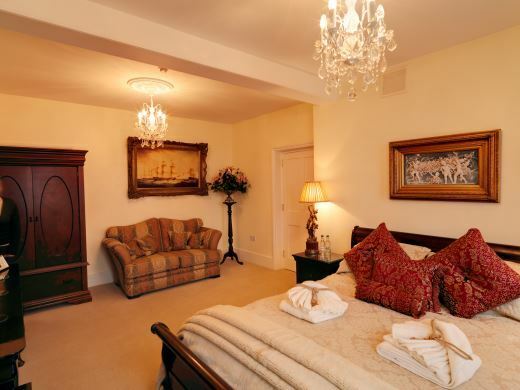 Below here you will find two comfortable suites which rival any of the hotels in Rye.